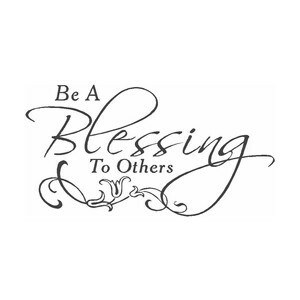 Being a blessing to others, no matter what, has its great rewards! God always returns the blessing ten-fold. Especially when it is given with no harsh feelings but with a cheerful heart and with humbleness. I never expect in return but God always returns the blessing! Amen! The vision of our Church, “God is love, Share this love…” applies to all! We have to show the love that God has for everyone, no matter who they are or what they’ve done, because God died for everyone, not just certain people. It Might be hard but we have to manifest God’s love to these people, and how else but through us showing them love? Good point of view Sis . Thank God for his holy spirit that leads us to treat others with the love he has showed us, Christ has shown the world mercy. Even though we have not deserved it. Now as his children we must be a blessing to all that have not received him as their personal savior.